A book designer gives form to content but also manages a balance between the two. So far, I’ve written four books: three traditionally published and one self-published. Every time, I’ve been intimately involved in the design process, as I think every author should be. I know this is the digital age and all, and here I am telling you these things on a blog, but I still prefer print books. I love the typography and interior design, how the use of artwork can tell a story. Most of all, though, I love what a book cover communicates. Books don’t just speak with words. They also speak with the way they are designed. Unfortunately, a lot of authors, and sometimes publishers, get this wrong. In fact, we may be facing a problem in the world of publishing, as we are seeing more people take ownership of a process they don’t fully understand. Many self-published authors and indie publishers (which I celebrate, by the way) thinking that a good book design is just about having a pretty cover. It’s not. I’m no expert, but ever since I became a marketing director of a nonprofit years ago and now run my own online business, I’ve made it my business to become a student of design — an amateur aficionado, if you will. So here’s what I know. According to renowned book designer Chip Kidd (who designed the cover to Jurassic Park and many others), good book design is about giving form to content but also appreciating the balance between the two. In his quirky Ted talk, Kidd explains that on his first day of graphic design class in school, the teacher drew a picture of an apple, then wrote the word Apple and said: “Listen up. You either say this,” pointing to the word apple, “or you can show this,” pointing to the picture of the apple. In other words, you can show or tell, but don’t do both. Don’t treat readers like they’re stupid. This is the first rule of book design. The second rule is to know and respect your audience. Books are not created in a vacuum. They are not merely a manifestation of the author’s creativity. The content needs a form, and the form will influence the way the content is consumed. All art has an audience, and books are no different. Good book design, then, is not just an expression of the story or idea behind a book. It is a piece of the marketing. As such, it needs to matter to the people it was intended for. You make something that matters not just to you, but also to the audience. Book design is about giving form to content but understanding the balance between the two. A book cover should not show and tell. Don’t treat people like morons. Creativity doesn’t happen in a vacuum. Respect your audience and understand your responsibilities as a creator/designer. Personally, I think good design is a little counterintuitive. 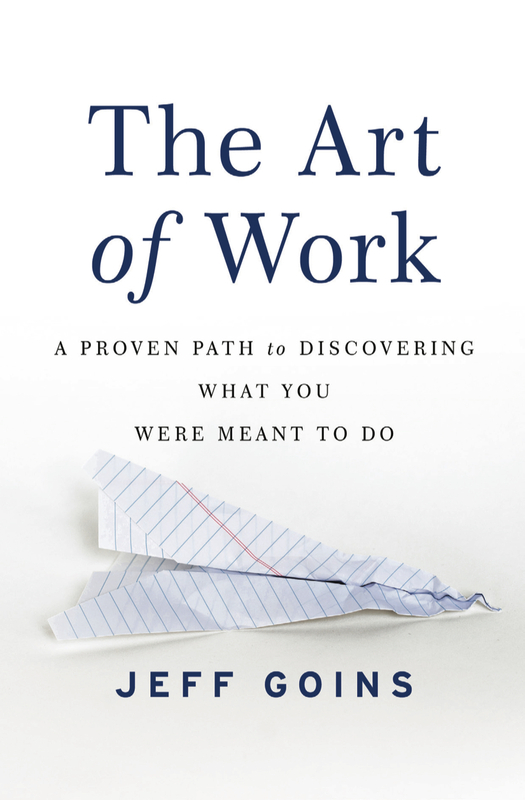 A book cover should make you think, should make you puzzle a little, wondering, “Now what’s that about?” You can see how I did this with the cover for my book, The Art of Work. It doesn’t make complete sense at first. You have to think about it. And that’s intentional — it’s rule #1 and #2 of good book design. But be careful with this. If you do this too much, you’ll confuse the reader. If you do it too little, you will bore the people you are supposed to be wowing. Good books don’t just tell you what you want to hear. Good books provoke. They make you think. And so should their covers. What kind of book cover catches your eye? Share in the comments. The book covers that usually catch my attention are artistic ones, such as those of young adult or middle grade books. Fiction in general. Anything unique! Jeff, this blogpost struck a chord with me as I am a graphic designer and I have done some book cover design and I have advised others on ways to improve their own book cover design. The biggest problem I see with most authors, who are self publishing, is that they don’t want to spend the money to get a great design. They often resort to fiverr or some other super cheap design site. A lot of people think that since design is rather subjective and anyone can do it. There may be some truth to that, but I still think it takes a trained eye to see the difference between good and bad design. In advertising we call it the payoff. If your cover doesn’t payoff, nobody will care it will bore them. This is great advice. I know you have lots of readers who are writers too. I truly hope they take this to heart because people DO actually judge a book by its cover. Thanks for your work, Jim. It’s important. One other consideration that Bill Myers brought up in his forum was to make sure the cover stands out in a thumbnail. On his Mango Bob series, some covers looked great but when they miniaturized them down to thumbnails, you couldn’t make out their theme. So they needed to pass both tests of looking good and looking good small. Nice post Jeff. The book covers that catch my eye are the ones whose cover doesn’t immediately appear to match up with the book title and makes you curious about the book, you have to read it in order to figure out how they relate, but not so much so that it doesn’t really make any sense at all. Agreed, Hayley. Those are my favorite, too! Thanks for sharing the TedTalk, Jeff. I look forward to watching it. I’m like you, as grateful as I am to eBooks, I prefer to hold an actual book in my hands. I prefer covers that are clean and uncluttered, and that pull me into the subject. What catches my eye is one that even if I can’t remember the title I’ll remember the graphic to find the one I’m interested in finding. Well said, Joy. I completely agree! Jeff- I tend to favor the “less is more” approach, where the title and author’s name are clearly visible, coupled with a clean photo or art image. Also, I like white space too. Somewhere for the eyes to rest, which also helps you focus on the image and title. I have never given book covers much thought, but maybe I need to start observing why certain titles appear catchier. Despite the saying people do judge a book by its cover. I tend to like simple book covers. If there is too much going on it turns me off. I read a lot and there are books that I’ve picked up solely based on the cover. There are also books that I’ve decided not to read based on the cover. I agree less is more. Thanks Jeff, I have watched that Chip Kidd video and as a retired graphic designer, I love his thoughts on this. Every writer should see it. I’ve worked with a number of small publishers who used artists who weren’t experienced in my genre. Lesson 101 from me is that book covers are iconic regarding genre. A reader should be able to glance at the cover and recognize the genre so the artist should know the iconic language for the genre he’s working with. You confuse the reader about the genre with the wrong cover, and you anger readers who bought the book thinking it is one thing and you never get the readers who like that kind of book. Also, these icons change over time. Ten years ago, a cover with a woman’s stylized leather boot on the cover said light female-oriented urban fantasy. These days, you’d have a woman in leather or with tattoos or man wearing either to show this. Among other images. Marilynn Byerly, I agree with what you say about how the cover of the book should fit the genre of the book. Also, I did purchase a book many years ago thinking it was about one thing, and it turned out to be about something entirely different. I hate when that happens. It’s definitely not right to mislead readers, especially if the publishers are hoping to get repeat business from their readers. I can’t imagine me turning to me to design my first book cover – it would never happen. I would debate with myself for decades over color, font, etc. Can I get a decently designed cover for a couple of hundred? (please say yes). I’m not saying you have to design it yourself. I’m just saying you need to speak into the process. That’s all I do. And yes, you can find someone to design your cover for a few hundred dollars, Kent. I would recommend 99designs.com. The kind of book cover that catches my eye is one that brings about a good feeling within me. If I get a feeling about a book cover that catches my eye, curiousity makes me want to know more about the book. Also, if the title of the book intrigues me, I pick up the book from the shelf or table and examine it further either by reading the first three or four lines on the first chapter of the book. Many years ago, back during my college days, my college professors always said that the first line should draw the readers in. As for the title, if it draws me into the story, I buy the book. I also examine the synopsis at the back of the book, if the title of the book makes me want to know more about the story. I’d also like to add the the right balance or combonation of colors and font do make a big difference in making a book appealing to me. Thanks for the post Jeff! I agree with so much here, but I guess it’s also important to think of author ‘brands’ (and not just for genre authors or book series). Their primary purpose is not always to make you ‘think’, but to let the reader know that they are safe in their selection. I agree with that, Thomas. I think there’s balance. You have to create intrigue but also make the reader feel comfortable enough to trust you with their money and attention. Well said. Hi, Jeff, the book cover design process is similar to the writing process I went through creating “back ad” copy for Christian YA fantasy novels. The cover is the first hook, then the back ad copy has to draw the reader in…at least enough to open the book if they haven’t already. As with a good cover, back ad copy has to communicate the story without being confusing or boring. Did you have input in that process for your books? That’s interesting. It didn’t seem from the final copy I wrote that much had been changed and that any edits were coming from editors. I didn’t get the impression the authors had much input, but who knows? Looking forward to reading your book! Wonderfully said! Love the fact that you “respect your readers”. I always feel respected by your writing and know that you are writing because you want the best for me. Thank you for your inspiration. 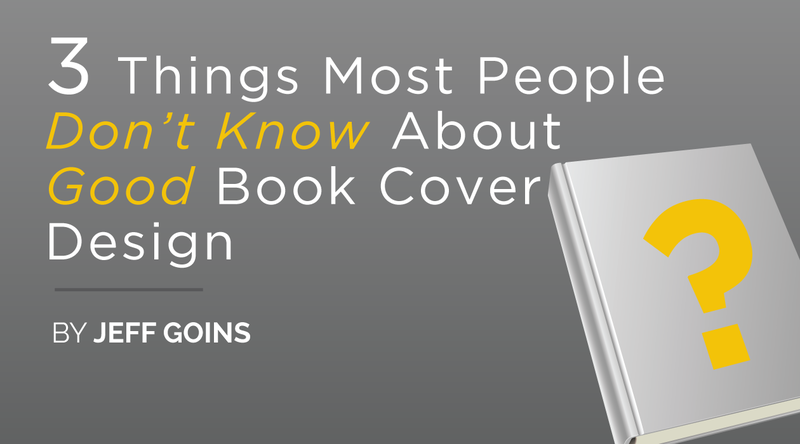 I also love this post about cover design! It came at a great time! Planning my cover now! Thanks, Chelsea! I’m glad to hear that. And good luck! Great food for thought here. I like creating inspiring covers which scream my brand. Simple. Paradise. Blogging. Nothing fancy, nothing too difficult to discern, and I feel I can inspire my audience the most by keeping true to my brand. Not exactly to the topic, but related – I’ve just discovered your blog today and cannot stop admiring how well it’s designed for reading experience. Nice big font, black, contrast texts (no shades of grey! ), short paragraphs and headings which make scanning easy. One wants to read more and more not just because of the content itself, but because of how easy is to read it online. Many online content creators want to be read but then bury their thoughts in long paragraphs of tiny, low contrast texts. Maybe a topic for a blog post if you haven’t written one already.